IDGAF Nelly, Pharrell Williams & T.I. KEEP DA O'S Tyler, The Creator, Pharrell Williams & Coco O.
WTF (Where They From) feat. Pharrell Williams With You. Remix Missy Elliott, Pharrell Williams & With You. 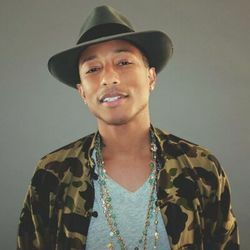 Discover more playlists and music by Pharrell Williams on PLAYLISTED. Like Blast Off (feat. Pharrell Williams), E-Lo (feat. Jozzy), The Mantra (with Pharrell & Kendrick Lamar) and blazed (feat. Pharrell Williams).